Thorbjorn Olesen’s first European Tour win didn’t come without a challenge, but the Dane was up to the task at the Sicilian Open. 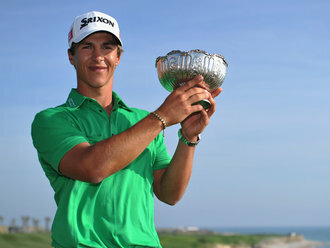 Olesen’s final-round 69 gave him a 15-under par total, one better than hard-charging Englishman Chris Wood. 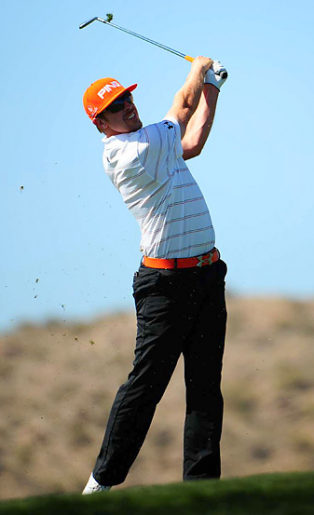 Hunter Mahan didn’t wait long to back up his WGC-Accenture Match Play victory with another big win. Mahan walked away with the Shell Houston Open title on the strength of a final-round 71 – and a bit of help from third-round leader Louis Oosthuizen – just six weeks after his WGC breakthrough. 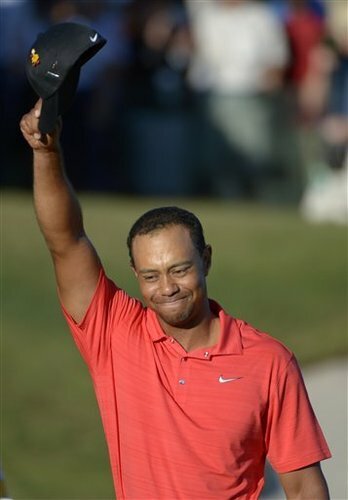 It figured that when Tiger Woods finally won another golf tournament, he’d do it in dominant fashion. And so it was at the Arnold Palmer Invitational, where Woods walked away with a five-shot victory – his first since September 2009. Michael Hoey won the Trophee Hassan II in Morocco on the strength of back-to-back 65s, outlasting Damien McGrane to claim his fourth European Tour victory. Julien Quesne earned his first European Tour victory in style, ripping a 4-iron to 6 feet on the final hole and holing the birdie putt for a two-shot win at the Open de Andalucia in Spain. 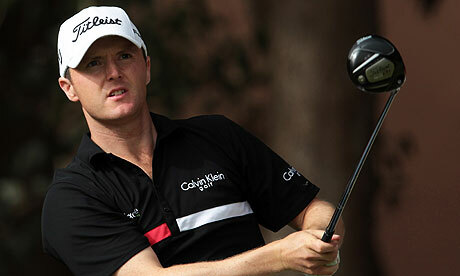 Quesne became the 400th different winner on the tour since its inception in 1972. 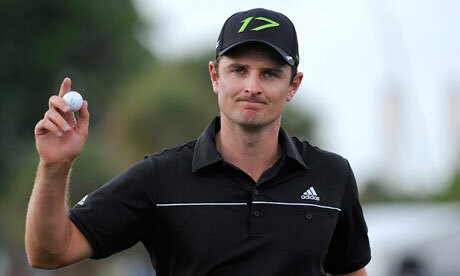 When all is said and done, Justin Rose’s victory may prove the least memorable occurrence from the 2012 WGC-Cadillac Championship. 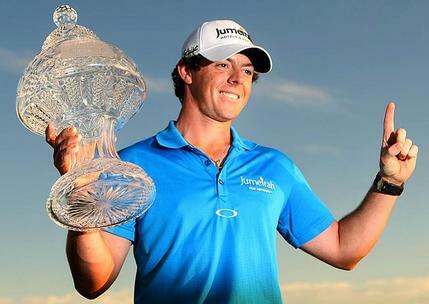 It was only a matter of time before Rory McIlroy reached the top of the world golf rankings. Fittingly, he got there by weathering a charge from a former No. 1 looking to reclaim his crown. Rory McIlroy’s ascension to golf’s throne will have to wait. 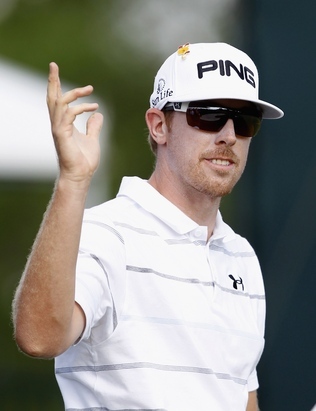 America’s Hunter Mahan saw to that with a 2 and 1 victory in the final of the World Golf Championships-Accenture Match Play Championship on Feb. 26. 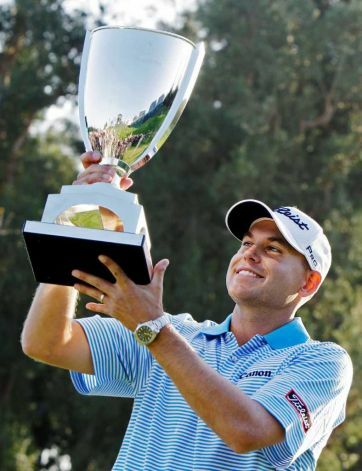 Bill Haas seems to have a flair for the dramatic finish. His 45-foot birdie putt in a playoff punctuated an epic finale at the Northern Trust Open, sending Phil Mickelson and Keegan Bradley to defeat.